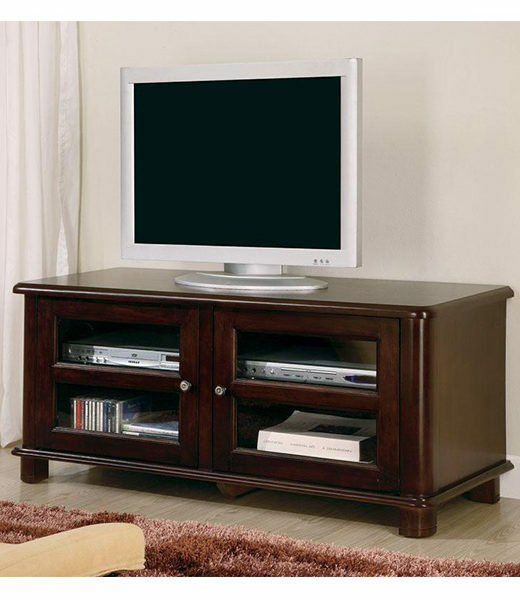 Cherry finish TV console with storage. The piece features soft rounded edges, with simple molding at the base, and shaped feet. The generous top surface will accommodate your television, while two glass doors below open to reveal shelves that are perfect for storage of electronics components. Simple metal knobs accent the door fronts. 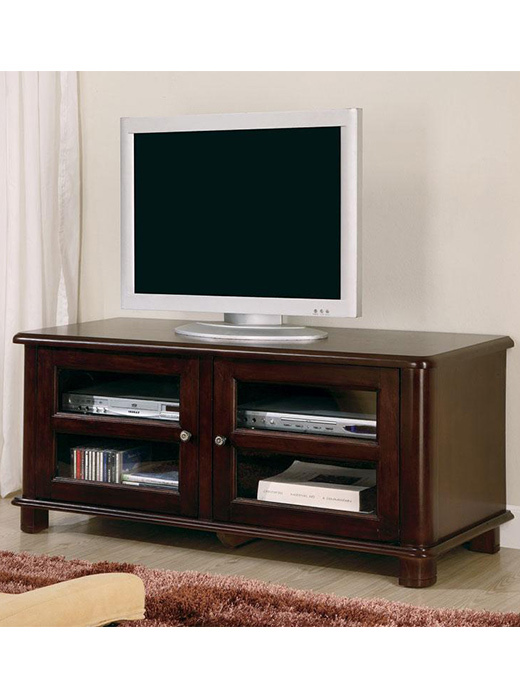 A similar style is available in a Walnut finish and larger size.